This guide shows you how to get the Ghoul Mask in The Division 2. There are 12 masks in the game and you get these masks from specific enemies called Hunters. To spawn a specific hunter you have to do some steps before. The hunter will also drop a Ivory key which you need to open a specific 8 key chest in Base of Operation. Night time - The Photo mode has a clock, between 7 pm and 5 am is night time. Go in the sewer and interact with the laptop. Go to the markes spot and shoot out the yellwo light bulb. A hunter will spawn, kill this hunter and he drop the mask and the key. This guide shows you how to get the Crimson Mask in The Division 2. This guide shows you how to get the Demon Mask in The Division 2. This guide shows you how to get the Wraith Mask in The Division 2. This guide shows you how to get the Specter Mask in The Division 2. 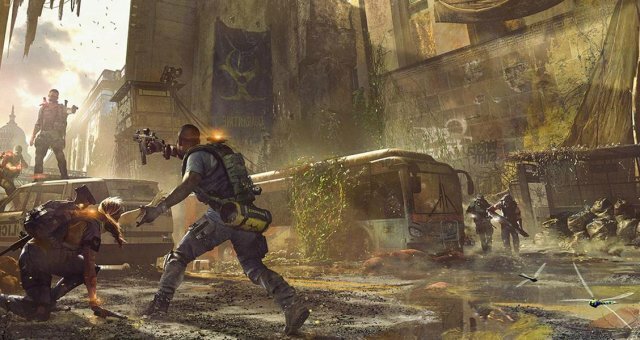 This guide shows you how to get the Midas & Revenant Masks in The Division 2. There are 12 masks in the game and you get these masks from specific enemies called Hunters. To spawn a specific hunter you have to do some steps before like interact with yxz or do an emote at a specific place. The hunter(s) will also drop a Ivory key which you need to open a specific 8 key chest in Base of Operation. This guide shows you how to get the Cross, Death, Diamond, Phantom Masks in The Division 2.